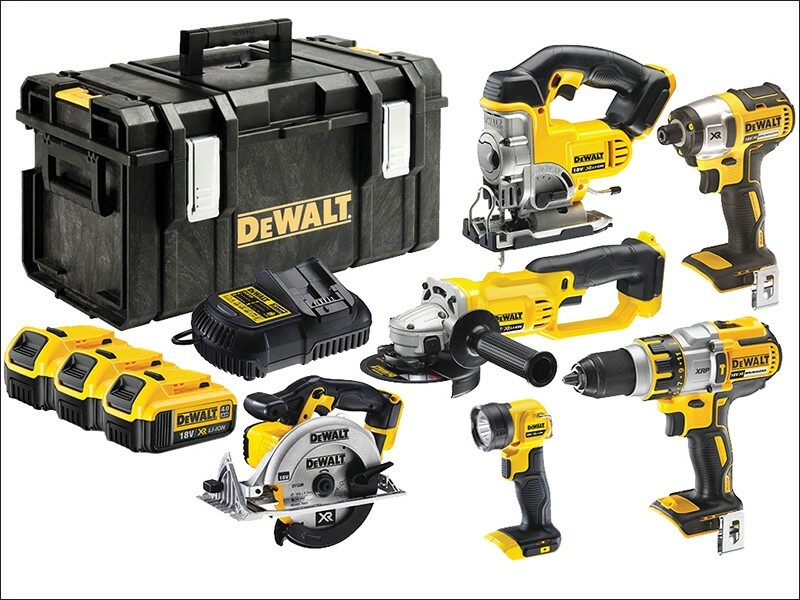 The latest generation on hammer drill drivers from DeWalt, this tool benefits from extraordinary intelligent XR-Lithium Ion Series batteries to provide fast application and lasting efficiency. The drill has three speeds and can effectively drive through both wood and metal, all the while providing increased running time and enhanced service life. This is one of DeWalt’s signature products and has an intelligent trigger that allows complete control during any application. To ensure enhanced productivity, this tool is fitted with a powerful fan-cooled motor and delivers more than 3,500 rpm for the fastest and cleanest cutting action. Cordless and so incredibly maneuverable. this tool weighs a tiny 3kg and has a lock-off switch to provide the ultimate in work control and safety. A variable-speed trigger and load speed of 7,000pm completes the tool to provide total accuracy of use. This versatile tool features a keyless blade change and signature variable-speed trigger action. Designed for heavy-duty applications the DeWalt jigsaw is fully accepting of T-shank blades. Compact, sturdy and lightweight, this torch benefits from specialised ergonomic design and durable rubber grip. Producing a volume of light in excess of 100 Lumens, the torch has a pivoting head, ratchet lock and comes complete with a multi-voltage charger. This tool has a strong aluminium-front housing and an ergo­nomi­cally-engineered handle. three bright LED lights offer full illumination and the brushless device features ‘drop-in’ hex drivers which, keyless, provide swift, single-handed fitting facilitation. If you want to be in with a chance of winning this amazing bundle from NWTT Builders and Timber Merchants (and of course you do! ), all you need to do is find us on Facebook and like then share our competition status. Entry is open until midnight on the 18th December and the winner will be announced soon after - our lucky winner will have their fantastic prize, worth almost £1,000, in time for Christmas. Call us now for more information on this fantastic prize, the NWTT team are always available on 01942 720777 or email us at sales@nwtt.co.uk.